The cryptocurrency market has gone through many cycles in the past year. During the various ups and downs, investors were inventing new signals to determine which directions coin prices would move. Cryptocurrency is a new market for both retail and institutional investors. Unlike the stock market, pricing signals are not widely agreed upon. Additionally, there are signals that exist in the crypto market that are not found in traditional stock and commodity markets. In this article we will cover some pricing signals that are used by cryptocurrency traders. Fundamental analysis is used by stock and cryptocurrency traders alike. In fundamental analysis, investors correlate a coin or stock’s pricing to a variety of qualitative or quantitative factors. In stock trading, fundamental analysis often looks at both macroeconomic factors (the overall economy or the overall “health” of the market that a company operates in) as well as microeconomic factors (like the company’s management team). There are some similarities between crypto and stocks in this regard. People often look at the problem that a project is trying to solve and the core team behind it. Below are some common things that cryptocurrency investors take in to consideration when doing fundamental analysis on a cryptocurrency. TAM or “Total Addressable Market” for the problem that a token project is addressing. Is the market size in the millions? billions? Consider the possible impact to the token price at different points of the team’s journey in gaining market share. Is this team the organization that is best situated to winning the lion’s share of the Total Addressable Market? How likely do you think it will be that this team meets their goals? Having domain expertise can help you in this evaluation because it can help you spot more obvious problems in their business plan. You can also do background research on core members of their team. Do you feel like they have the expertise necessary to pull off their vision? You can also look into their education, past experience operating in their respective fields, and possible connections that can help them along the way. Qualitative clues about the founders via their public presence on social media can also be helpful in this realm. This might offer subtle clues into their personality. What competitors exist for this project? Competitors can come in the form of blockchain based solutions as well as traditional companies that may have competing value propositions. Most blockchain projects aim to disrupt a market held by centralized incumbents. For example: Storj is aiming to disrupt cloud storage. You can assess its potential value by considering Storj’s ability to truly disrupt centralized cloud storage. This can be done by comparing the pricing, performance, and usability of their service offers to other solutions on the market. Coin Supply vs. Total Market Cap vs. Circulating Supply. Market capitalization (also called “market cap”) can be calculated by multiplying the circulating supply and the price per coin. Using this system, one can determine that good “buy-points” happen before promising events, which might lead to an increase in the overall market cap. However, there are other factors that one may want to take in consideration. When there is too much circulating supply, increases in market cap are relatively diluted amongst a larger pool of overall token holders and there is less per-unit price increases for individual coins. Investors and Partnerships: As seen in every industry, the connections that a founding team has are crucial. That’s not to say that you need to be an ‘insider’, but it’s important for the team to be able to attract high quality investors and early partners. These early wins will compound and add to the project’s credibility. Connections through investors and other high-profile advisors can help tokensales with many mission-critical tasks. Investors can open doors to important introductions and provide introductions to clients that the project can benefit from. Business partnerships are crucial to the progress of blockchain projects. This is especially true if the project is “B2B”, where “partnerships” often lead to sales. Many projects have ideological narratives about solving centralized problems with blockchain, but it’s often overlooked that the best short-term ROI for many B2B projects is to partner with Fortune 500 company or other reputable institution that has the resources for turning their vision into a reality. The investment community behind blockchain understands the importance of real-life partnerships with multi-billion dollar organizations, so news of partnerships can do a lot in driving up the prices of tokens. These partnerships symbolize blockchain technologies becoming “mainstream” and play a key role in the widespread adoption of blockchain as a technology. Token Specific Heuristics: In addition to tracking market cap and using fundamental analysis, there are many heuristics that are specific to token projects. Cryptocurrencies are a new asset class. 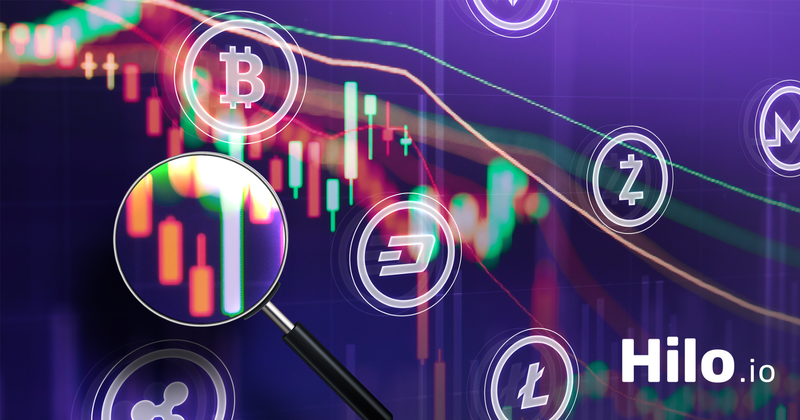 There are different indicators that are critical to cryptocurrencies that are not relevant to many traditional investments. Below are some other considerations to take before investing in cryptocurrencies. Team GitHub or Bitbucket: Most projects contribute their code to GitHub and track the progress of commits on GitHub. As with other types of companies, you want to judge each new token by what they’ve been able to accomplish given their resources. If the company or project is brand new and has raised limited funds, you can still look for progress in terms of market research and building a functional proof of concept. For companies with a publically facing repository you can pay attention to the frequency of their commits, and whether the company is making progress towards their milestones. If you’re not a developer with the right skillset, this may be easy to evaluate. If not, there are multiple communities on Reddit and other social media platforms that are more privy to understanding and analyzing development progress. Size of Online Footprint and Presence on Social-Media. The trading value of a cryptocurrency is heavily influenced by the overall number of token holders. Therefore, community size is an important reflection of how much interest a project has attracted from investors. Put simply: successful projects often have a large community of support behind the project. At a glance, it’s simple to dismiss online presence as a superficial “vanity metric”, however there are many factors correlated to having a large community. It means more potential buyers, evangelists, and individuals that hold a vested interested in seeing the project succeed. A project’s community plays a critical role in helping with key tasks such as getting listed on exchanges through voting, evangelizing to other investors, and playing the self perpetuating role of signalling to the rest of the crypto community about the hype behind a specific project. Overall, many factors play into the pricing of cryptocurrency assets. From the point of view of the investor, it may be important to take these into consideration before investing in cryptocurrencies. Hilo.io is a platform designed to tackle the challenge of aggregating sentiment around cryptocurrency projects. The core team behind Hilo.io has thorough experience in cryptocurrency trading. Early on, there was no single resource made for the cryptocurrency-trading community that aggregated research, quantitative facts, and qualitative data about the market and investment landscape encompassing a project. The Hilo platform aggregates sentiment-data around a project by allowing contributors to annotate pricing changes for cryptocurrency charts. Hilo is also designed to facilitate open discussion within the community. The overall goal for Hilo.io is to create a more comprehensive source of insight for investors of all skill levels, as well as to crowdsource sentiment data that the entire investment community can benefit from.